The story of the birth of our precious 4th babe starts with the birth of our precious 3rd babe, Amelia some 3 years earlier. We had planned another beautiful homebirth and I spent 30 weeks daydreaming of this beautiful event of welcoming her into our lives. At 30 weeks however my whole world fell apart when out of the blue my waters broke. My hopes and dreams for another empowering birth in our lounge room was suddenly replaced with a transfer to a tertiary centre in Sydney. It was the most challenging and lonely time of my life being so far away from my family and my home. I was scared for my baby. I went from being a holistically cared for woman to all of a sudden just a vessel. The medical staff would come and go. Nobody would speak to me, but rather speak at me while looking at the CTG. Her birth was actually quite beautiful. The Midwife had left the room and while she was gone I birthed Amelia straight into my own hands supported by those of my husbands (Nick), it was just the 3 of us, a flicker of beauty amongst the heartache. 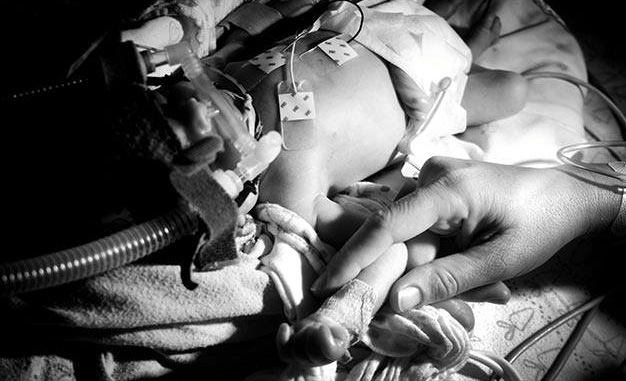 But then a moment or two later she was gone, taken from me so swiftly to the NICU. A mother should never have to see her newborn like that, tubes and cords coming from her moments old babe. I sent Nick to the NICU to be with Amelia. I sat in that delivery suite all by myself for what seemed like an eternity. The Midwife didn’t return to provide care to me. I looked out the window blankley, all alone. I didn’t feel like a Mum. 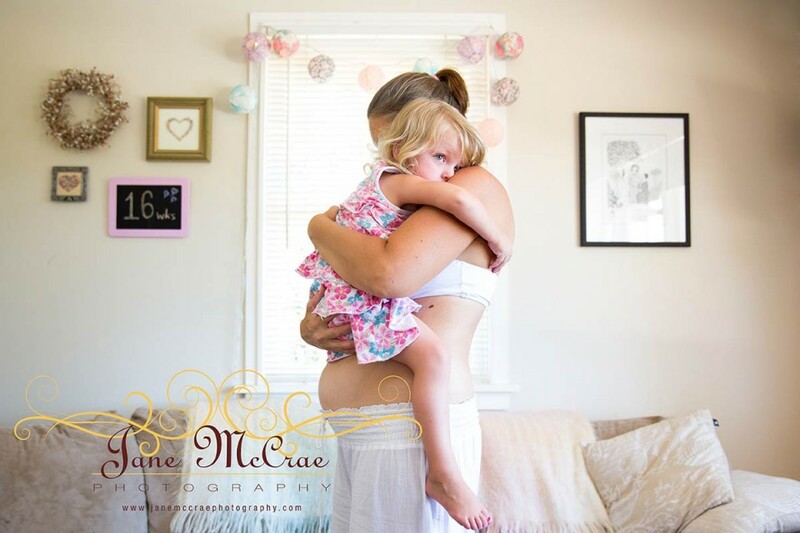 I grieved for my pregnancy and home birth. It was a year filled with anxiety and worry. She was perfectly healthy but I was a mess. Whenever I spoke about my experience to anyone I would choke up. My eyes would well with tears. I felt like someone was strangling me and I couldn’t share what was really on my heart. I swore that I would NEVER have another baby. Three years later and a little surprise package was growing in my belly. My husband was excited right from the word go. He has been my rock, never faltering in his faith that this was going to be a healing experience for me. 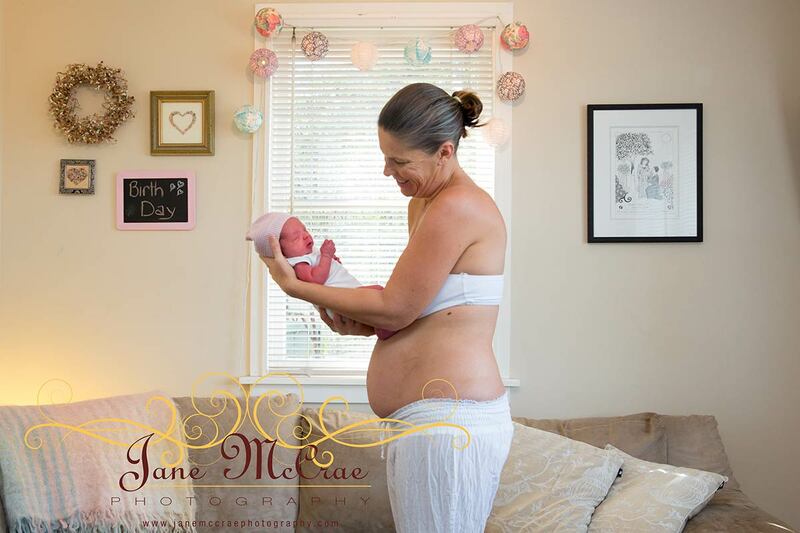 After lots of tears when we found out I knew it was time to heal from Amelia’s birth, to face my fears and step out in faith for a beautiful full term healthy babe to be born in our lounge room… this is the story of my transformation. At 6, 8 and 10 weeks I had episodes of really heavy bleeding. I had never experienced bleeding in pregnancy before. On numerous occasions there was so much blood that I thought we had lost the baby. We went for a scan to see where all the bleeding was coming from. In that very moment, of seeing a tiny heart beating I fell completely and utterly head over heels in love. This was a precious little gift and I knew Gods blessings were upon me. I told one of my dear friends about the bleeding and my uncertainty with the pregnancy and being frightened about having another prem. She spoke so many words of encouragement into me. She said that she believed this was going to be an incredibly healing journey. A few weeks later Nick and I went to see another dear friend to ask her if she would be our home birth Midwife. She too said that she believed that this would be an incredibly healing journey for me. Nick posed the question. ‘If this is going to be a healing experience, how can we make it just that? What things can we control and choose to do differently?’ That question had me soul searching. What was it about Amelia’s birth that broke my heart. What can I do differently this time around? How can I accept things that I don’t have control over? Christmas day was upon us and I was 12weeks pregnant. We decided to share our exciting news with the kids and our family, a beautiful Christmas gift. Everyone was excited. I said to Mum and Nan that if this babe turns out to be a girl her name is to be Faith, as this was a journey of stepping out in faith into the unknown, frightened and scared but standing steadfast in my belief that God was holding me. My sister in law handed me a beautifully wrapped Christmas gift. It was a gorgeous pregnant figurine. She had no idea that we were pregnant, but thought that I would like it. The words written on the figurine rang true with me and I read them regularly throughout my pregnancy. her heart was expanding in ways she never knew possible. She could hardly wait to meet their sweet spirit. After soul searching the reasons why I struggled with our prem journey were numerous. I felt cheated out of my experience. My waters broke completely out of the blue, 30 weeks just wasn’t long enough to enjoy those beautiful little kicks, I didn’t have any photographs taken (which is a big deal for a photographer) and I wasn’t prepared for a hospital birth let alone a transfer to a tertiary hospital. I didn’t have a chance to ’nest’, there was no celebration of her birth just stress and I didn’t get the opportunity to be encircled by my birthy friends. I was never given a reason for my waters breaking early so that played on my mind too. By far the biggest thing was having Amelia taken from me moments after she was born, I felt empty and so alone after her birth with no baby in my arms. I struggled to bond and to feel like a Mum. I felt guilty, was it something that I had done to cause her to come early? My heart said that this is where I needed to start my healing. Accepting that the baby has a role to play in his/her pregnancy and birth journey and that it wasn’t my fault. I have no idea why my waters broke but there was obviously a reason, a reason that I will never know. I wanted to do a fear release ceremony. I envisaged a beautiful rock platform overlooking one of my favourite beaches so Nick and I went off in search and found the perfect spot. While I was on top of the platform enjoying the beautiful view my hubby yelled out to me. He was down below the rock and said ‘Come down here babe and make sure you bring your camera’. So onto my hands and knees I went and bush bashed my way down. He was standing in this incredibly beautiful sandstone cave. It was truly stunning. It was later to become an analogy for me that there is so much beauty underneath the surface, if you are to take the time to go in search of it. We headed back up to the top and I wrote down all of my fears in chalk on the platform. Nick and I discussed each fear and then he did EFT (emotional freedom technique) on each point. When I came to a place of peace we would move onto the next one. He was the perfect person to journey with me through this. He was the only person who saw the heartache I went through and he knew exactly what I needed to overcome this sadness that I had been holding onto for so long. In a powerful gesture I poured water and washed away each of my fears before moving onto my affirmations. One by one I wrote my affirmations down, how I wanted this to be a completely different journey. Nick then got me to yell out at he top of my voice each affirmation. I am usually a quiet person however yelling these words out was so freeing and powerful. I got to the one about our home birth, “Our baby will be born in our lounge room”. I struggled with this one. From past experience I know that crappy things happen. I couldn’t be sure that this was going to occur but I so wanted it too. I said to Nick, ‘this one is all about faith’ so digging deep I yelled it out with all the passion and certainty I could muster. That day was so incredibly healing. It was an emotionally intimate day to spend with my precious husband. I was finally feeling free!! That night I had an intense dream. I was standing in the beautiful sandstone cave and this massive snake slithered past me and curled up next to me. I’m not scared of snakes but I felt unsettled by it being there. The next morning Nick asked me how I was feeling. I said to him I was feeling incredible. I was finally walking around with a sense of freedom and excitement however we are NEVER going back to that cave. I shared with him my dream and he said to me that snakes are a powerful symbol of healing and transformation, all of a sudden my dream made sense. God was showering me with all sorts of signs that this journey was going to be so very different. It was around this time that I met a gorgeous friend for brunch. She handed me a little gift. I unwrapped it carefully and inside was a braclet. I automatically welled with tears when I read the word….. 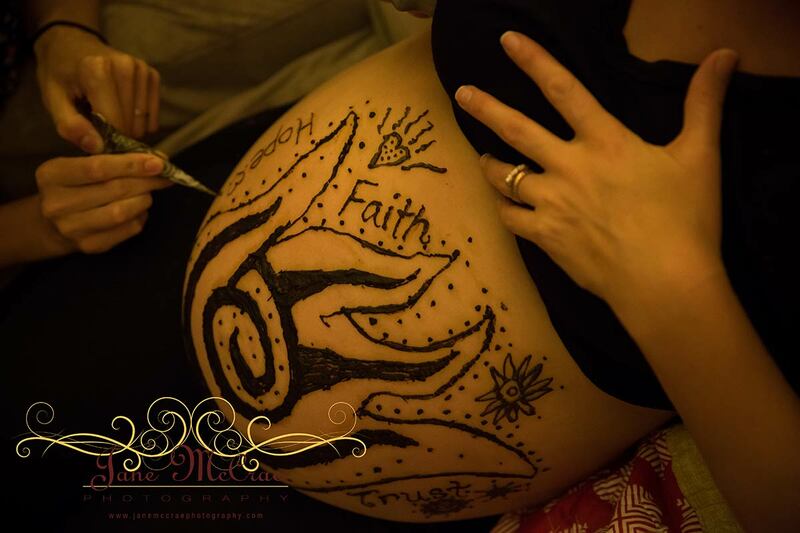 Along with my fear release ceremony there were some other things that I wanted to do during my pregnancy to mark this as a completely different journey. I spent time with God, listening to His quiet whispers gaining strength from His word. I journaled my journey, and used writing as a way of healing. I shared with strong women friends my fears and didn’t hesitate to share my need for encouragement. Being a photographer I used my camera as a way of documenting my journey. I did a lot of self portraits and when that wasn’t possible I got Nick or the kids to photograph me. Nick is a Naturopath so I followed his advice along with another dear friend who also has a background in naturopathy. I made sure I ate well, took my supplements and really nurtured myself. I was feeling really happy and well. All of a sudden it was the 14th of February, the eve of Amelia’s birthday. I went to bed feeling quite heavy hearted. In the wee hours of the 15th of Feb deep in sleep I woke myself sobbing and sobbing and sobbing as I recalled the shock of my waters breaking early. Nick rolled over and embraced me and said “its ok, things are going to be different this time’. I looked at my watch, it was 2.45am, the exact time to the minute 3 years earlier that the Dr came into my hospital room and said I needed to be induced ASAP. All of a sudden a sense of peace came over me and I started to drift off back to sleep. I was weightless, drifting on a rug up in the air. Up and down I gently flew, over the crests and valleys. Off in the distance was a candle and a group of people surrounding it. A sacred event was taking place. It felt warm and tender. So much joy and love was enveloping it. 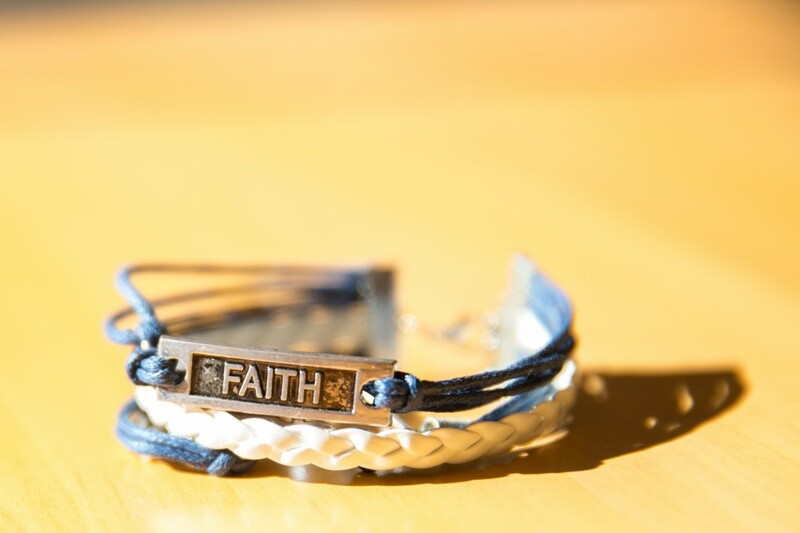 The words ‘Faith, Hope, Trust and Journey’ came to my mind. I woke up the next morning feeling so drained. The deep seated intense sobbing wore me out. I decided to journal my dream. As I wrote about it an interpretation came to me. 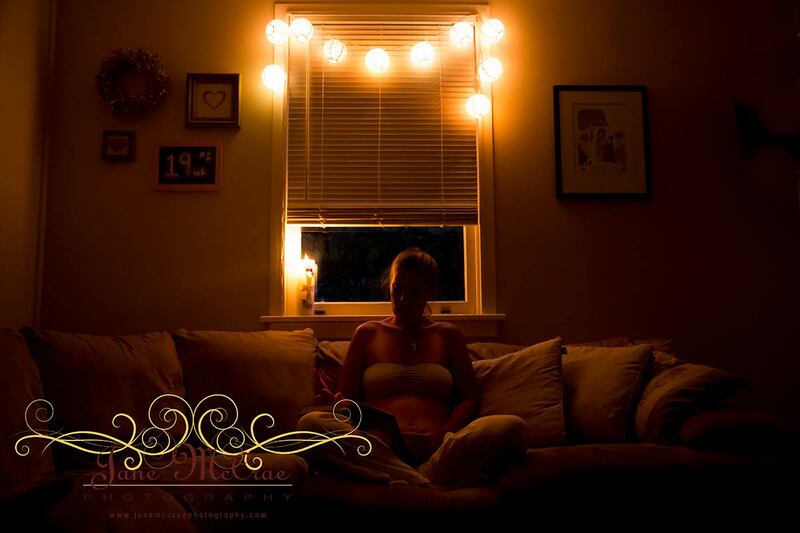 The peacefulness that I felt was God who was with me along my journey of highs and lows throughout my pregnancy. The light was the flame of Christ, the Holy Spirit providing warmth and encouragement through works such as dreams and visions. 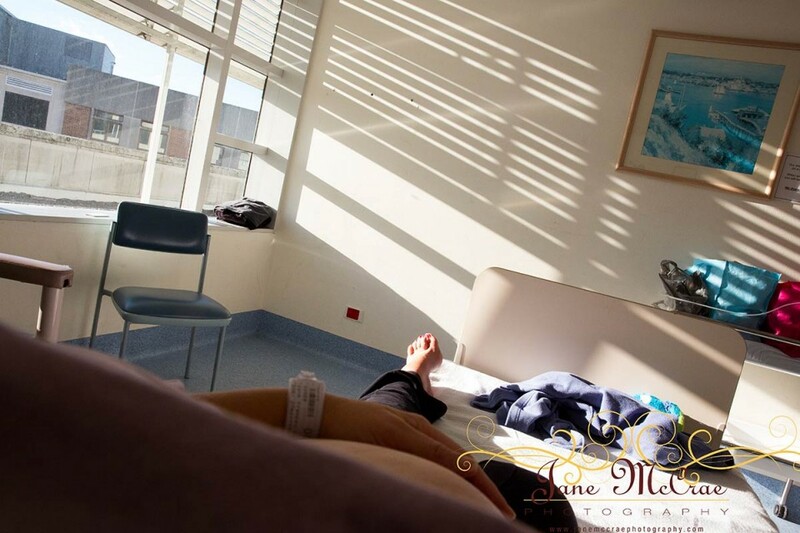 The sacred event in the distance was my upcoming birth and welcoming our precious babe in our lounge room. I drew the dream and held that peace and joy close to my heart for the rest of my pregnancy. ‘God is with you, for you, behind you, ahead of you. And know that love goes with you all the way’. I loved the bit about loosing my way and growing weary. At this time I was weary but that was ok. God was carrying me through the emotional hurdle. 33 weeks and my soul was dancing and my spirit singing. I felt so incredibly joy filled at the thought of what was ahead of us. 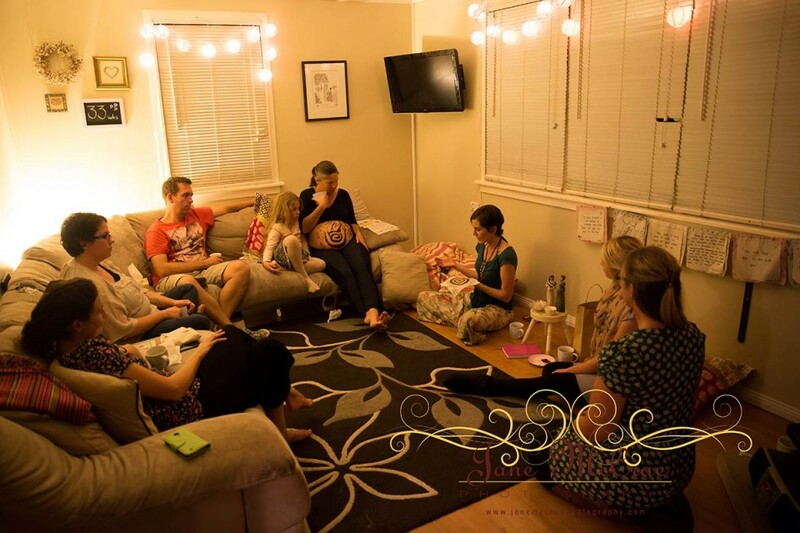 Throughout my pregnancy I felt a strong sense to be encircled by like minded women so I planned a mother blessing and invited a few of my dear friends along. I purposefully invited strong, inspirational women to this this evening, many of whom I had photographed their births and have become friends with. I am not usually one to be the centre of attention however I loved every minute of the evening. I found it to be such an important part of my pregnancy to be surrounded by so many encouraging words coming from women who inspire me. They henned my belly with the vision from my dream- the light of Christ guiding my journey, the Holy Spirit revealing God to me through dreams and visions on this healing journey. We went up to the waterfall the following day and took some photos of my belly. As we crossed a little bridge a snake slithered through the water straight in front of us… another snake, another sign of healing and transformation. I asked the women at my Mother blessing to bring along a decorated square of calico expressing their personal words of encouragement and blessing for the remainder of my journey. 2 of my gorgeous friends sewed this all together as a birth quilt and it hung in my birth space. The following day I was sitting on the lounge enjoying a concert. Our girls love to dance with their Daddy and while I was watching them I had a strong vision of there being a third little girl named ‘Faith’ who was dancing too. I wept as I daydreamt. I felt that we were having a little boy but it was a lovely vision to enjoy. I continued to feel fantastic, well, healthy and excited. Every day was a bonus and every kick or uncomfortable nights sleep I embraced with open arms. I was 34+4 weeks pregnant and like any other night we headed off to bed. In the early hours of the morning I was woken by a warm gush of fluid that soaked the bed, I yelled out with fear and sadness ‘NO, my waters have broken again’…. In that moment all hope of a home birth left me. I was anxious and worried, I felt hopeless. I thought I knew what this meant. A medicalised hospital birth and my baby taken from me and sent to special care. It was 4am I rang Mum and Dad to come and be with the kids. I didn’t even have to speak, Dad answered and said ‘we are on our way sweetheart’. My bloods, swabs and CTG were completely normal. The medical team said I needed to stay for 72 hours and if I didn’t go into labor they would let me go home and induce me at 36 weeks. I was so emotional the first day of my admission. My head needed time to catch up with what my body had done. Mum and Dad came up to the hospital to visit. They had been praying for me daily and Mum said ‘just don’t give up hope of your home birth’. I laughed it off thinking she was crazy. I was 34+5 weeks pregnant, there was no way I’d be having a home birth. Tuesday came and went and Wednesday arrived. I felt so at peace. I was still pregnant, the liquor was clear, bub was moving, the CTG was fine, I was well. Later that evening my parents came to visit again. Mum began to tear up as she spoke to me. She said that she believed with all her heart that God would answer my prayers for a beautiful home birth. “Just don’t give up hope’ she said. ‘Sometimes our faith is tested, stand firm in your belief’. Mum spoke directly into my heart and I knew that the words that came out of her mouth were from God. I started to entertain the idea, perhaps this still is possible. I was discharged home on thursday. The next week was the longest of my life. I was discharged from hospital having to return for regular CTG’s, and bloods. 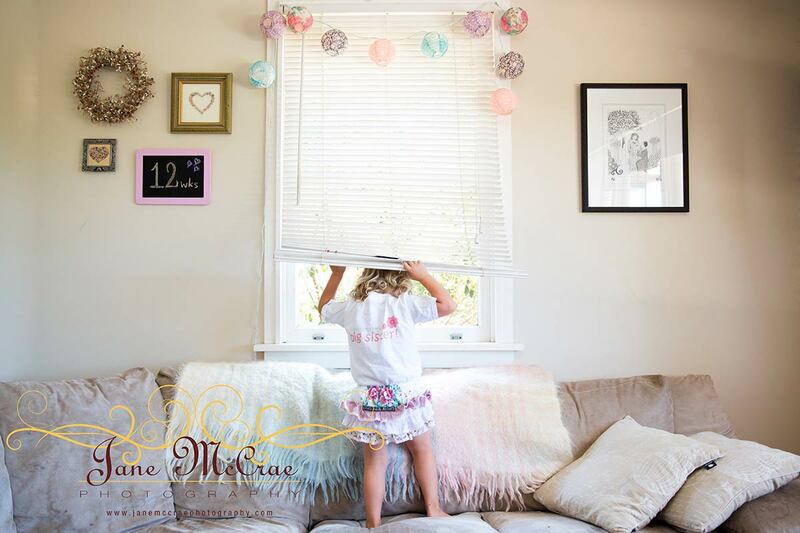 I spent my days at home in the peace and quiet while Nick took over all of the domestic chores. When I felt anxious I’d ask myself ‘is the liquor clear?, Is the baby moving?, Is my temp fine?, Do I feel well?”. If I could answer yes to all of those questions I knew everything was fine. It was just a waiting game. My Midwife was in Prague at the ICM conference. She was due back on Wednesday morning the day that I was 36 weeks. Prior to her leaving the country she had told the baby that he/she could be born that Wednesday morning. That gave me something to aim for. I desperately wanted her to be there with us after she had so beautifully encouraged me from the word go. One evening during this period Nick and I were watching TV together. 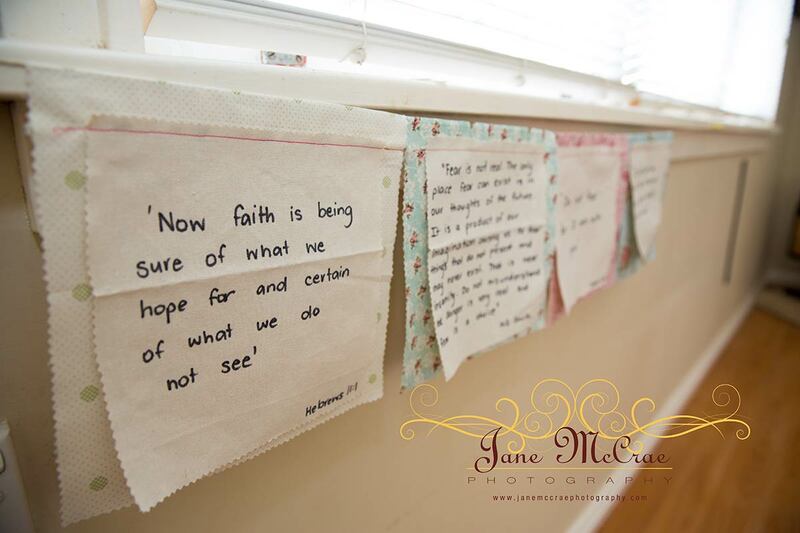 I was reflecting on the scripture Mum had given me several months earlier. 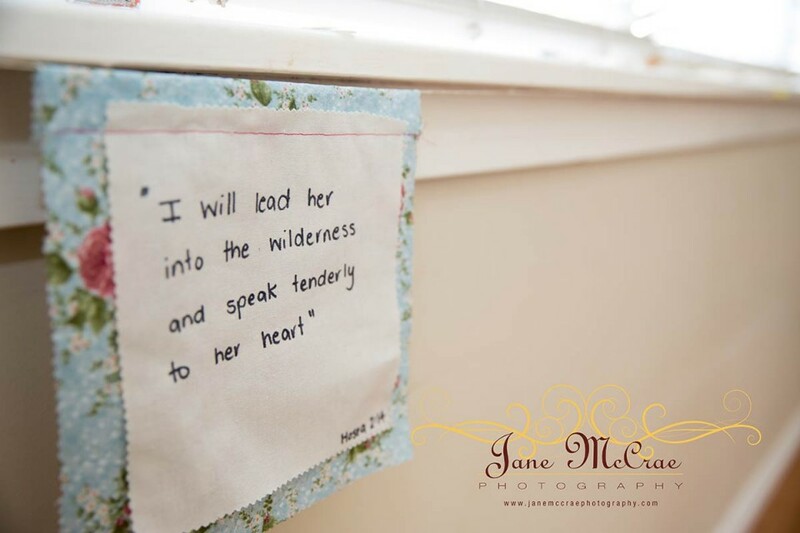 The wilderness was alive and well, I was in the midst of it and those words that Mum spoke to me in hospital were directly from God. I knew in that very moment that I was going to be birthing at home just as I had envisaged. I was 35+6 and needed to go back to the hospital for further bloods etc. My Midwife that I had for Amelia’s home birth showed up out of the blue. It was SO fantastic to see her. I asked her opinion on having a 36 weeker at home. She confirmed my own thoughts and said that in hospital you’d be continuously monitored in labour and then the baby would be regularly checked for any signs of infection. She said if I went ahead with my home birth to make sure I feed the baby regularly and check her temp/resps 4/24 to pick up on any infection from the PROM. I instinctively knew that my baby was well and I was more than happy to stay at home. My bloods, swab and CTG were all perfect. I was now 36 weeks and in the early hours of Wednesday the 11th of June I woke to some niggles. They were intense but only coming every half hour or so. My Midwife’s plane had been delayed by 12hours, originally she was due to arrive home Wednesday morning but now it wasn’t until Wednesday evening. I told my body to stop however I was also a big believer that the baby knows exactly when he/she needed to be born and to go with it. I contacted another dear friend who is a very experienced home birth Midwife and asked her what she was doing in the morning. Lucky for us she was free and said it would be an honour to attend our birth. She went above and beyond the call of duty to be with us, I will always feel such deep gratitude towards her being there for us. We got the kids off to school at 8am and by 9am the tightenings were becoming more intense so we ask Mum and Dad to come and get Amelia. They arrived and we chatted at the door. I felt like my body was holding back until Nick and I were alone and sure enough after they left I was in labor . The tightenings were coming hard and fast, it was intense. I floated off into labor land while Nick was ringing our Midwife to come. I felt safe with just Nick. It was like de ja vu but this time we were exactly where I wanted to be, everything was perfect. I was leaning over our lounge the exact same place that our second child was born 6 years earlier. I kept saying to myself ‘God has got this, I’ve done it before I can do it again’. Before I knew it a little head was born into my hands. I could hear Nick taking some photos while next to me. The next tightening was starting to build and I said ‘Get ready to catch’ and sure enough both of us caught our precious babe together. A few moments later our Midwife arrived and then the kids with Mum and Dad. We looked down to see what we had and to my great surprise we had another beautiful daughter. It went without saying, her name was to be Faith, Faith Margaret Grace our precious little gift from God. Throughout this whole journey the depth of the love I have for my husband has grown, he has stood by me loving and encouraging me through all of my fears and weaknesses. When I didn’t know what else to do but cry he was there to hold me. The wisdom I have gained from my parents faith has yet again enriched my life and my experience. I have the upmost of respect for Mum to be brave enough to share those prophetic words with me. 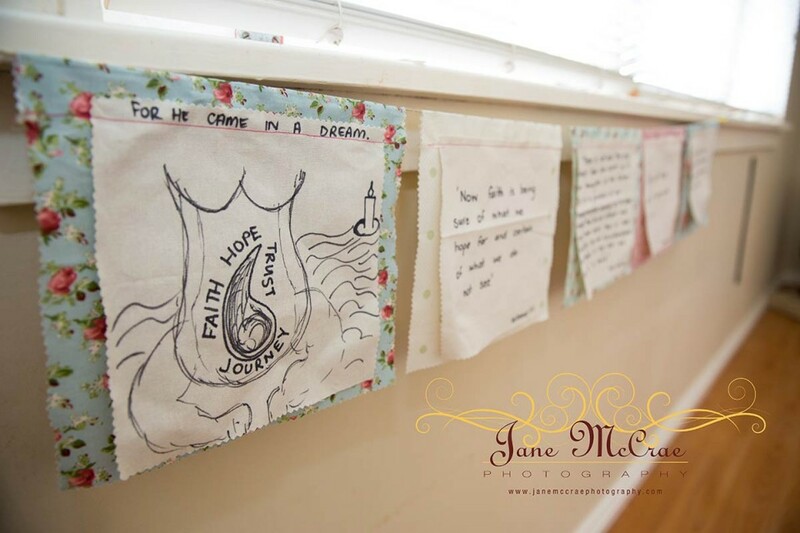 Her faith in God was far greater than her fear in homebirth. She is incredibly inspiring and I admire her spirituality deeply. Mum and Dad have not only given me the gift of unconditional parental love but also the gift of introducing me to the unconditional love from our heavenly Father whose strength I called upon daily. Heaven has been bombarded with prayer from Nan as well another strong and inspiring woman whom I adore and look up to. The beautiful and precious friendships from other women who love birth as much as I do has been so incredibly healing. Not a week would go by that one of them would email, sms or call to see how I was feeling. I certainly felt enveloped with so much love throughout my journey and that has made all the difference to such a positive outcome. I know that I didn’t do anything to earn Gods love, that is the beauty of His grace. None of us deserve it but it is free to us all. He was there for me throughout Amelia’s journey, carrying me through my heartache just as He was there for me throughout Faith’s journey instilling faith within me from all sorts of people every step of the way. Birth DOES matter. The way we are cared for and the way we are spoken to while we birth our babies lays a foundation for strong relationships. Women hold their birthing day close to their hearts forever, the way they are treated is never forgotten. 3 years ago, I gave Amelia my whole self, I could not have done a better job of nurturing her and adoring her. It was an incredibly difficult journey being a mum to a premmie babe but we made it through together. A deep sense of gratitude has come upon me as I have bathed in the delight of my most beautiful, healing journey of Faith. I opened my self up for the possibilities. God revealed himself to me in ways I never dreamed of. 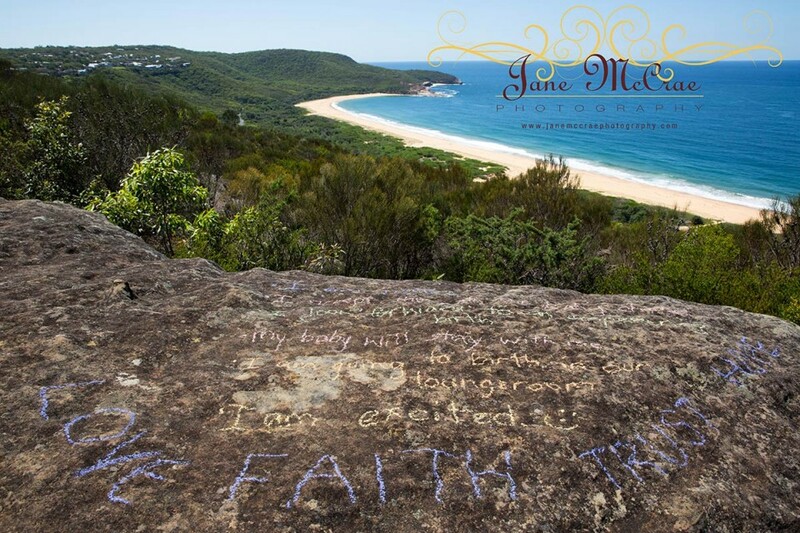 Posted in birth photography and tagged with Birth Photographer, Birth Photography Central Coast, Birth Photography Newcastle, Birth Photography Sydney, Central coast birth photography, Jane McCrae Photography. RSS 2.0 feed. « Yes, birth images should be seen!